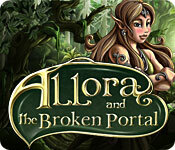 Allora and The Broken Portal is rated 3.7 out of 5 by 67. Rated 5 out of 5 by cejene from Enjoy this Game. Bought this a few years ago. Just got around to playing it. Love this game. Really well done. Beautiful graphics. Can be a little challenging. Will play this again. Rated 5 out of 5 by smilingsun72 from HOs Paradise! This is a great game for a fun and relaxing. All that is needed is to find the objects in the list and collect the items needed to open things so you can collect the crystals or runes to fix the portal. 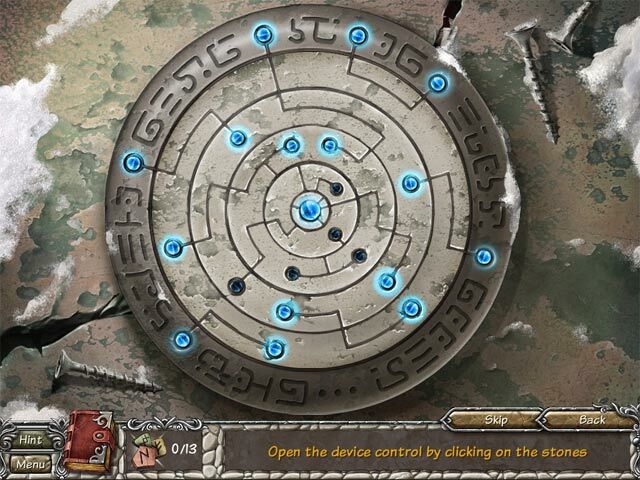 Throughout the game there are some random puzzles you'll have to solve to get some gems or runes. The story is all text so thrown on the reading glasses and dust off your cobwebbed brain to read a great story. All the scenes are beautifully drawn to give them a fantasy feel. There is no need for a map because the areas are very compact and contain everything needed to accomplish the tasks before moving to the next place. I recommend this as a great family game because this is not dark, scary, creepy here! 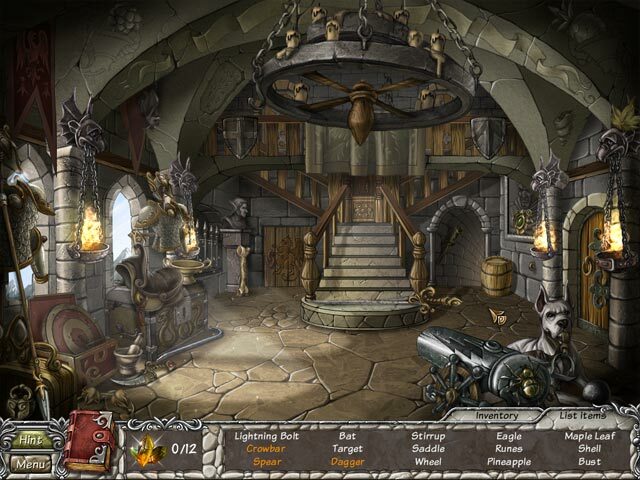 Rated 5 out of 5 by BabuskaSargus from Even more hidden objects! I enjoyed it all the time. Nice graphics, relaxing quests, pleasant music. Anything new, but well done. I like to play it again. I did not expect such a preponderance of hidden objects, but it was welcome. The only reservation: too fast speech. My English is not so good. The story seemed fun, but I did not catch everything (unfortunately, my usual problem :-)). It was a very pleasant evening. Rated 5 out of 5 by Lppwlu from I loved it!! HO groupings made sense & fun. Was sad when finished. Rated 5 out of 5 by neilskinut from good relaxing game to play This is just a fun relaxing HO game to play. About 4 hours long. The hint button works good. The graphics are good and music is ok. No real challenge just fun relaxing game to spend time playing. Rated 5 out of 5 by smallkrum from Gorgeous graphics and so much fun! I had such a fun time playing this game! It lasted hours and hours and yet still managed to keep me entertained. The story line was simple and there wasn't much character development, but all of that didn't really matter because the game play was enough. The HOS were clear and beautiful and I LOVED the music. This game really had me at the graphics and I can't think of another game that comes close, art wise. All in all, I would certainly recommend this game for a relaxing play. Rated 5 out of 5 by Wandakal1 from Cute and fun Enjoyable game maybe a little too easy for experts, but I'm no expert. Rated 5 out of 5 by sapoe from just good I played this one when it first out and I never leave a review before. For this I give 5 stars because I have fun 'til the end. There's a lot HO so if you are like this kind genre or if you looking a game for spending your lazy time then try this one. Thanks dev! Rated 5 out of 5 by cheryledz from I love this game!! I LOVED THIS GAME!!!! I'm sure that the people that are really "experts" in the HO games don't find this one to challenging, but I LOVE it!!! It's relaxing, you aren't pressed for time, if you get stuck, you have the hint button. This is the first time I actually "enjoyed" playing an HO game without being totally lost and gave up. It held my attention to want to keep playing. The fairies are cute!!! Beautiful color! Only got it for $2.99, and it was well worth it!!! I'd like to see more like this. Rated 5 out of 5 by Ancientsymbols from Great Fun! I really enjoyed playing this beautiful game. Challenging and a mind bender at times. Really made me think. 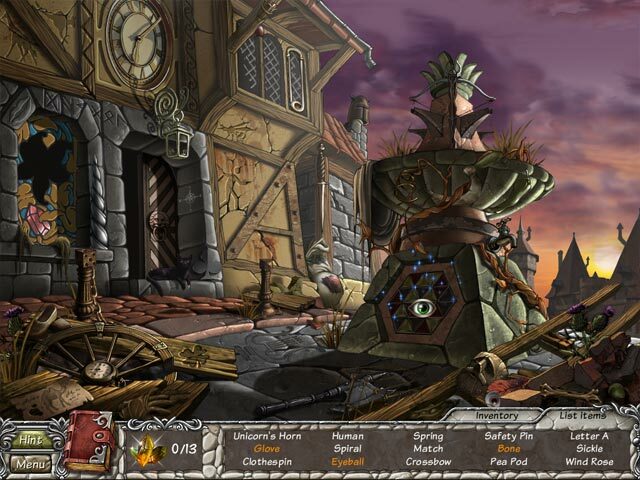 Wonderful graphics and scenes.